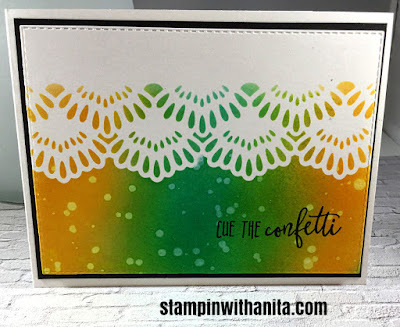 If you read my blog post from yesterday, I posted my first card I made with the #tgifc206 colors ink blended: Mango Melody, Bermuda Bay & Granny Apple Green. I made one more ink blended background, using Stampin' Sponges and the 3 colors. Using the largest Delicate Lace Edgelit die, I ran the colored panel through the Big Shot. Cut beautifully. 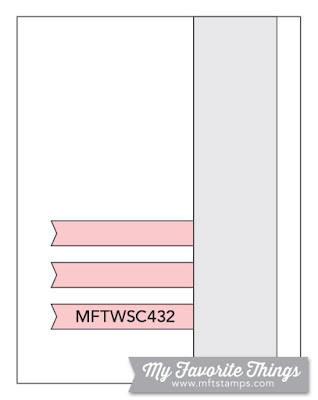 5) Heat set with a heat tool which has been warmed up for 30 seconds. I adhered the ink blended Delicate Lace Edgelit piece with Tombow Liquid Adhesive to an additional piece of Basic Black card stock to give it more thickness. This was then popped up to the A2 Basic Black card with Stampin' Dimensionals. A few small hearts were punched out using the Cookie Cutter Builder Punch from a bit of scrap from the ink blended piece. These colors were so much fun to work with and blended perfectly no matter which ones I used next to each other. What do you think? Want to give it a try? Below are the links to my online store and thanks for sticking to the end!